Aiming a 10-22 in a Blackhawk stock. Tandemkross magazine bumper floorplates make reloading easier. 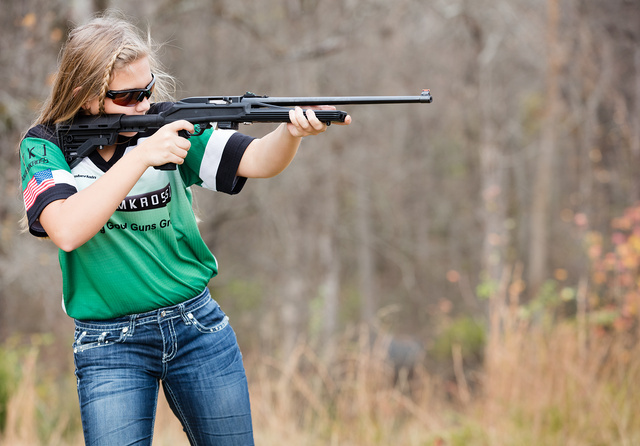 Halley, one of the Chamberlains — a family with both parents and all three kids competing in rimfire steel challenge. They all prefer open sights to optics. Leaning out to fire around an obstacle. 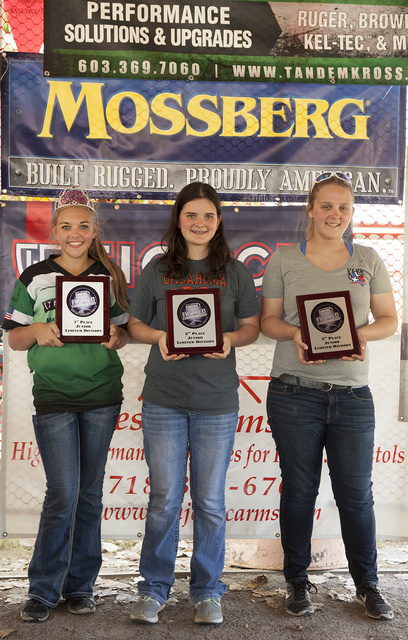 At 2015 NSSF World Steel Challenge. The rest of the family also won top spots. 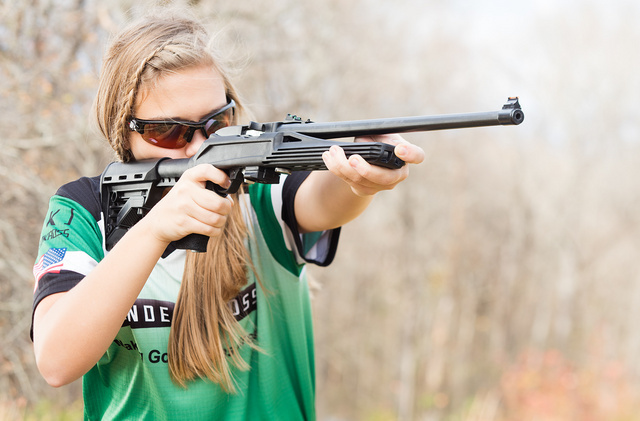 This entry was posted in interesting people, rifle, training and tagged 22LR, sport. Bookmark the permalink.